2 Bedroom Terraced House For Sale in Benson for £128,000. Entrance Hall to Kitchen/Dining Room at the front of the house with the Lounge to the rear offering French Doors into the Garden. The Ground Floor is finished with a Cloakroom and Storage cupboard. 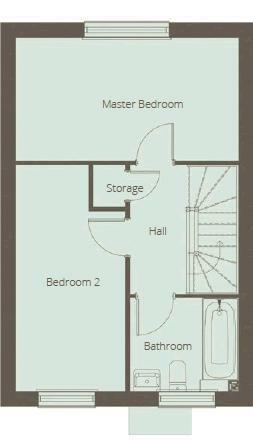 The First Floor has 2 good sized bedrooms and a Main Bathroom.